Many law firms, businesses and even some medical professionals describe asbestos as a fibrous mineral mined from the ground and used as an insulator, fire retardant and a component-part to bind materials together. The Deaton Law Firm describes asbestos as a poison that kills innocent workers, fathers, mothers, children and bystanders that devastates families across the United States. 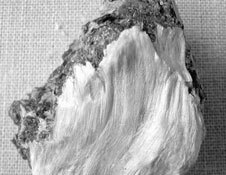 Poisonous asbestos fibers are inhaled, where they deposit in the lungs and remain as a silent killer for decades – growing and multiplying until eventually manifesting as a malignant cancer. 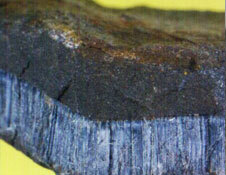 The inhalation of poisonous asbestos fibers may cause deadly diseases such as Lung Cancer or Mesothelioma, a malignant tumor in the lining of the lung, heart, or abdominal cavity. Asbestos fibers can also cause a disease named Asbestosis, a respiratory ailment named after the very fibrous poison from which it originates – asbestos. Generally, those who develop asbestos-related diseases show no outward signs of illness for a considerable time after exposure. 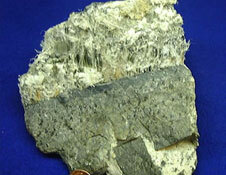 It can take from 20 to 40 years or more for symptoms of an asbestos-related condition to appear. Given that asbestos was found in numerous industrial, commercial, and residential products, exposure to asbestos was, therefore, not uncommon at home, at school, at work, or at places of worship. If you or a loved one had been exposed to asbestos and diagnosed with any asbestos-related disease, such as Mesothelioma, our lawyers at the Deaton Law Firm can help you receive just and swift financial compensation for the damages you have suffered. Please contact our firm to arrange for a free consultation and case evaluation.